With so many differing voices telling us what it means to be a woman, it can sometimes be hard to know what's true. Thankfully, our Heavenly Father has told us who we are. 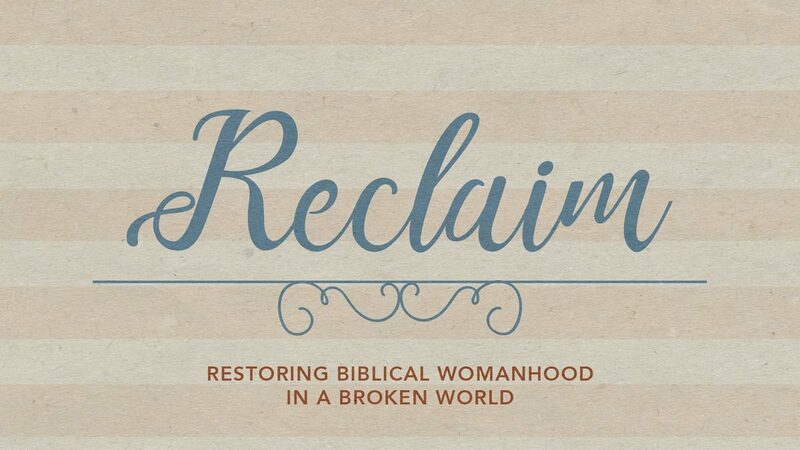 At Reclaim, we'll discuss principles from His Word to learn just exactly who He's calling us to be. Join us for an evening of discussion, prayer, and fellowship. We'll provide refreshments. The theme of our May event is suffering. Suffering is a reality for everyone, Christian or otherwise. Thankfully, the Bible gives us the tools we need to handle suffering in a way that honors God and is healthy for us. In order to make sure all women are able to attend, childcare will not be provided. We're encouraging husbands, dads, and granddads to step in and help so that our ladies can be blessed by this evening. Please RSVP for this event so we can plan properly.